SunButter Is Perfect For Nut Free Snacking! 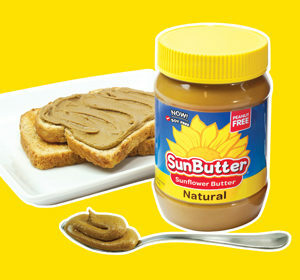 SunButter Sunflower Butter is perfect for sandwiches, recipes, and nut free snacking. With 7 grams of protein per serving, SunButter has as much protein as the leading peanut butter, and it’s top 8 food allergen free, so it’s an ideal, school safe solution to pack for lunches and snacks where peanuts can’t be served. 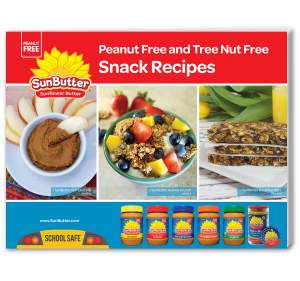 Click to download your FREE SunButter Snack Recipe Book! Over 20 peanut free and tree nut free snack recipes. Quick, easy and perfect for a tasty treat at home, school or on-the-go.